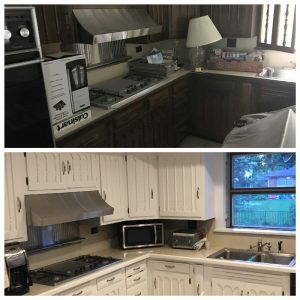 Why Kitchen Cabinet Refinishing from Aarco? If you are looking for a fresh new look for your kitchen, it may not require taking out and completely replacing your cabinets. 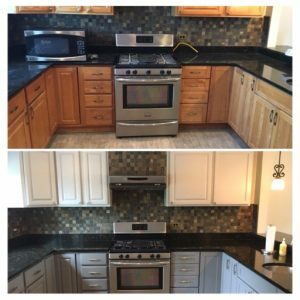 Consider calling the cabinet refinishers at Aarco. Our cabinet resurfacing application is a professional-grade coating that comes in a variety of colors to match any kitchen’s color scheme and style. 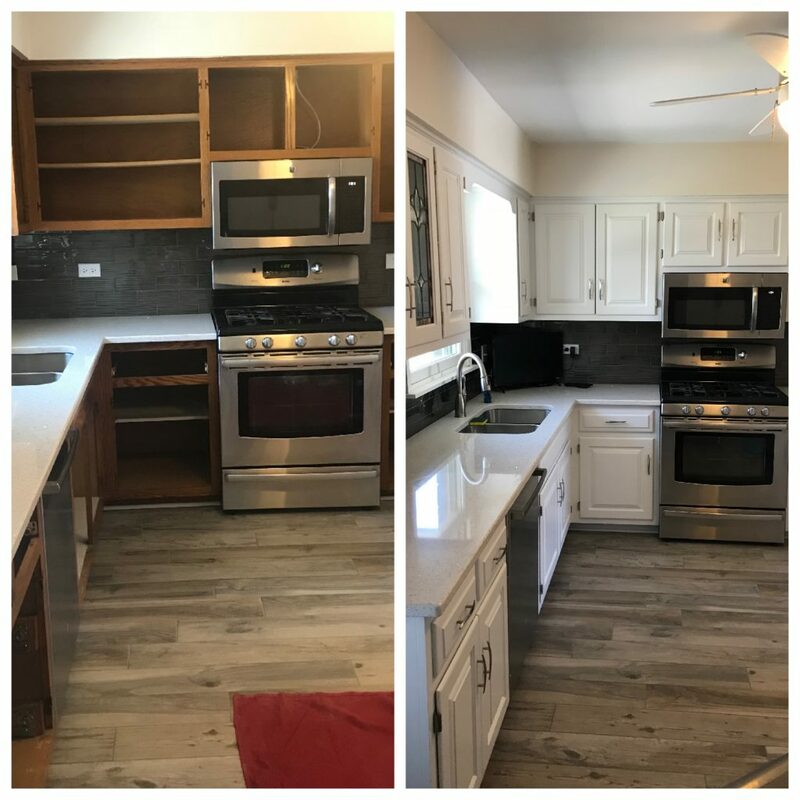 Depending on the size of your kitchen and the number of cabinets you have, the cost of a total replacement upgrade could cost as much as $20,000 or more! Don’t waste your money on buying new when you can get an attractive, elegant new look with a professional application by Aarco for a fraction of the cost to repair. 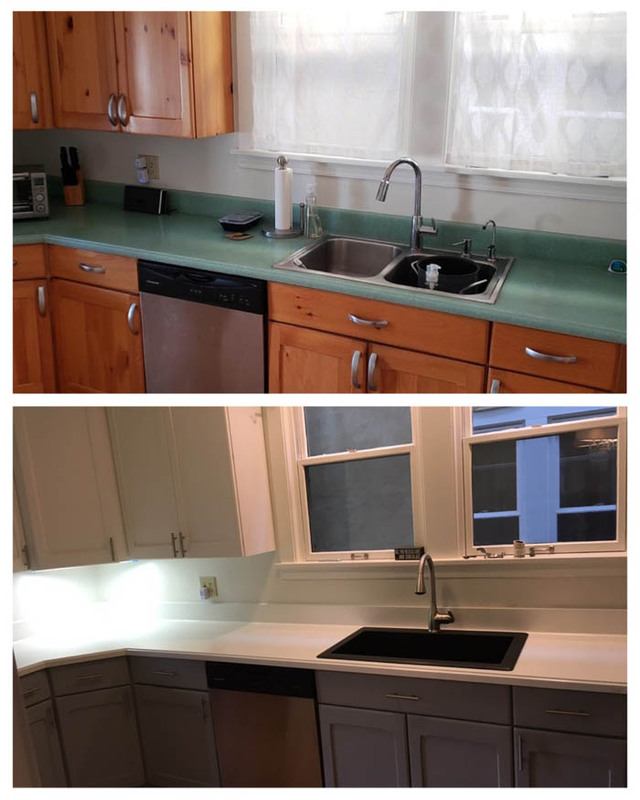 Avoid traditional painters if you are looking to refinish your cabinets. Many traditional painters use a brush or roller technique that does a fair job but can crack and chip over time. Our advanced spray application is specially designed for long-term strength and durability. The Aarco finish is formulated to last a decade or more as it stands up to even the toughest abuse and will retain its elegant color for many years to come. You may be considering refinishing your cabinets as a seemingly easy weekend DIY project. However, be careful to consider a few important aspects before taking on this job yourself. First, consider the time-consuming task of existing stain stripping. 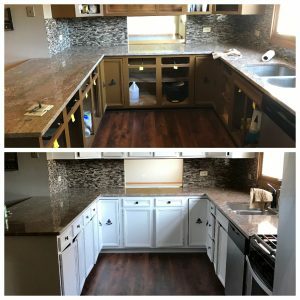 Some do-it-yourself kits have you remove the existing paint or stain and sand down the cabinet faces before applying the new paint or stain. This can be extremely time consuming (especially if you have multi-panel cabinet faces with a lot of grooves/curves). You’ll want to be careful not to take on this task unless you’ve got the right tools and know what you’re doing. Another common oversight is the paint itself. You may think standard latex or oil-based paint will do, however those paints will not last nearly as long as a professional spray-coating applicant that Aarco offers. More common than not, you’ll find that it is worth it to hire the professionals for your cabinet refinishing project. Contact us online at: [email protected] or by phone at: 630-543-2284.